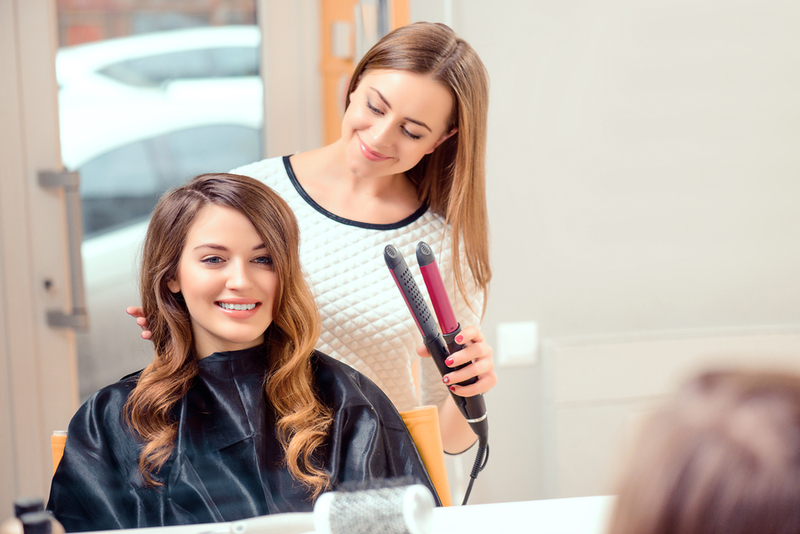 Have you been getting your hair cut or highlighted and your hairdresser notices a change to your hair? Maybe it’s getting a little dry or thinner on top. You might be surprised to find out that changes to your hair can be connected to your hormones. We know hormones affect many processes in our bodies from reproduction to mood to weight. But hormones can also cause hair changes. A shift in the balance of hormones can lead to various differences in your hair. How Do Hormones Affect Your Hair? Hormones can affect your hair in a variety of ways. Occasionally, such as during pregnancy, hormonal fluctuations may have a positive effect on the hair. But in most cases, hormonal changes lead to unwanted changes to your hair. For instance, hormonal imbalances, such as a decrease in estrogen, may lead to hair loss. Too much testosterone can also lead to thinning hair on your head, but increased facial hair. It’s helpful to learn a bit more about the hair growth cycle to understand how hormones can affect your hair. Normally, your hair goes through different phases. The active phase occurs when the new hair is formed and pushes through the hair follicle. Hair also goes through a transitional phase when the hair is not growing. Lastly, the hair goes into a shedding or resting phase. According to the American Academy of Dermatology, it’s normal to lose between 50 and 100 hairs a day as part of the normal growth/shedding process. When hormonal changes occur, it may affect the growth cycle of the hair strands. Puberty causes an increase in reproductive hormones. Men have an increase in testosterone, and women produce more estrogen. The increase in hormones can stimulate the production of oil from the sebaceous glands, which may result in oily hair. The increase in hormone levels also increases body hair. During pregnancy, increases in progesterone and estrogen affect the hair cycle. The hormones prolong the growth phase of the hair cycle, which causes less daily hair shedding. Hair may appear thicker. But after delivery, as hormones levels drop to pre-pregnancy levels, the normal growth/shedding cycle returns to normal. It might seem like your hair is falling out more than normal, but it is just returning to the normal growth cycle. If you’re stressed, hormones can be affected. Increased levels of adrenaline and cortisol are released, which may disrupt the hair’s life cycle leading to longer periods in the shedding phase. Plus, stress hormones can suppress estrogen, which can contribute to hair thinning or loss. The thyroid gland produces two hormones that can play a role in various bodily functions. If too much or too little of the hormones are produced, it can lead to several symptoms. Hypothyroidism, which occurs when the glands do not produce enough thyroid hormones, can lead to hair loss. What Types of Changes occur? So, what are all these hair changes telling you about your hormones? Changes to your hair due to hormones usually indicate that your hormone levels are shifting. Shifting hormones may lead to imbalances, such as low estrogen or testosterone dominance. Changes may mean you have an increase in certain hormones, such as cortisol, due to increased stress. The bottom line is, if your hair is changing, it might be because your hormones are also changing. Balance hormones: You can restore and balance hormone levels. For example, during menopause, bioidentical hormones can correct hormonal imbalances and their symptoms. In cases of hypothyroidism, taking bioidentical thyroid hormones can treat the condition and improve symptoms, including hair loss. Correct nutritional deficits: Good nutrition is essential for optimal hair growth. If you think you are not getting enough of the important nutrients, consider taking a supplement such as Dr. Hotze’s Hair, Skin and Nail Formula. Find healthy ways to deal with stress: Stress cannot only zap your energy and alter your mood, but it might also affect your hair. Find healthy ways to deal with stress, such as exercise, deep breathing, and mediation. Be gentle with your hair: Show your hair a little TLC. Use a gentle shampoo, don’t brush too hard, and don’t go overboard with heat styling. Could your Hair be affected by hormone decline and imbalance? Take our symptom checker today to find out if you suffer from symptoms of hormone imbalance. Hormonal changes in menopause: do they contribute to a ‘midlife hair crisis’ in women?